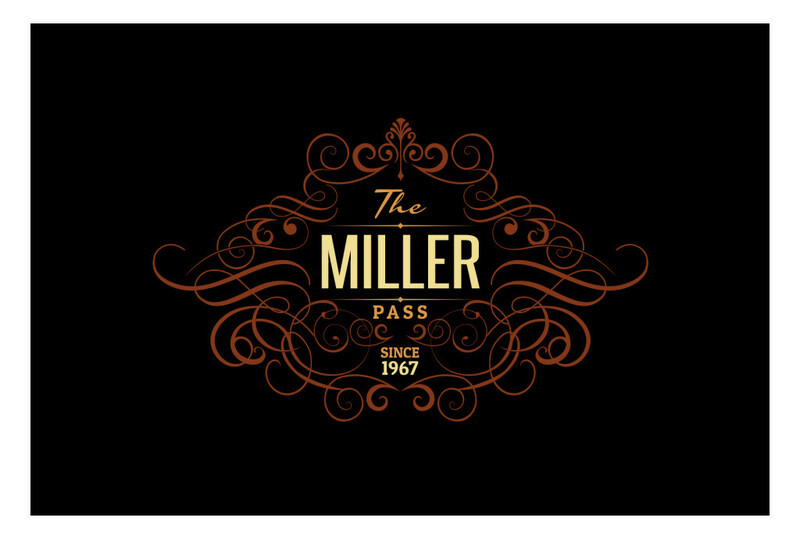 Today, when you order "Brent Braun presents The Miller Table Spread Pass", you'll instantly be emailed a Penguin Magic gift certificate. You can spend it on anything you like at Penguin, just like cash. Just complete your order as normal, and within seconds you'll get an email with your gift certificate. Almost 50 years ago the Charlie Miller Table Pass was put in print, many have performed it but few have perfected it. After 15 years of working with and finessing the move Brent is making all of this knowledge available to you and also teaching his tabled spread variation for the first time ever. "Charlie Millers table pass is one of those almost mythical things you never see people do or talk about. It truly is a beautiful thing. However, the original description in Ultimate Card Secrets was kind of sketchy to be honest and probably put people off. Fear not as Brent has broken down the technique and filled in the missing pieces of this magical jigsaw. The illusion he gets is stellar. And the great news is that he teaches it beautifully. Walk though this, cards in hand as Brent teaches and you will soon have a beautiful piece of table top artifice to add to your repertoire." "I have been wanting a good pass to do seated at a table and this will be my solution. I was able to perform the pass effectively less then an hour after watching the video"
"I have been searching for a pass to perform while sitting at a table for years, Brent Braun has created the perfect solution!" The Charlie Miller Table Pass was originally published in 1967 in Dai Vernon's Ultimate Secrets of Card Magic written by Lewis Ganson. I have known Brent for nearly 20 years and HE is an amazing card talent and a great instructor. 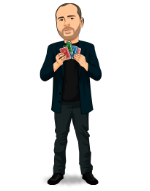 I thoroughly believe that any card worker would benefit greatly from ANYTHING that Brent invents, teaches, or endorses. Brent Braun knows his stuff! "... so much of the wealth of good magic in books is not appreciated until, perhaps, just one person makes an effort to master a certain effect and shows it to others - then the clamour begins. "Wonderful! - where can I get it?" Brent Braun is blessed with such an honest face, it's always stunning to see how devious his thinking can be. Brent begins with a replacement control based on a Charlie Miller idea for restoring deck order after a spectator cut. In print, Lewis Ganson's original description of Miller's table pass is all too brief and the reader might be hard pressed to believe in the subterfuge. Any doubts about the nonchalance of the move are quickly dispelled in Brent's hands. He proceeds to advise on nuance and refinements that add discernible value to Miller's original concept. Then the main course arrives. Brent's marries a spread control with the Miller pass. That face! I would buy a used car from this guy and never suspect he was such a brazen cheat at the card table. Thank goodness Brent went into magic instead of politics. The mechanics are well-taught, easy to master and quite deceptive. Highly recommended! What you see on the sample video is exactly what you get. The teaching is straight to the point. Clear, precise, zero bs. Get it! At last, no more worries about covering a pass. This is really an efficient move. After dealing craps all over Nevada for almost 30 years I know sweet moves when I see them. Brent has an excellent pair of hands, but luckily you don't need to be an ace to handle this one. The cover for this pass is so natural, so "built in" if you will. There really aren't any worries concerning timing, mis-direction and the like. I can't imagine a more complete tutorial on the Miller Table Spread Pass. Excellent!...Thanks Brent and continued success. Used this in my poker cheat trick. This move added the perfect touch to make it 100. Thanks Braun. Brent teaches this move in a very clear and precise way. Now, have to put them time in to learn/execute it as well as he does. This is a really useful pass. It works into any Ambitious card routine wonderfully as well. I have been reading Lewis Ganson books for perhaps four decades and have blown over the Charlie Miller table pass forever in in the Dai Vernon book (which is in front of me now). It just did not 'click' for me in the original publication. Brent does a great job of teaching this pass, a few variations, and the subtleties involved. Useful, time saving, and totally a great value. Thanks! it is sooo hard, and waaaaaaaaayyy over priced. waste of money. I hate it. I wan't my money back. It's a good trick but hard todo and over priced I should be worth $2. 0 of 8 magicians found this helpful.